In her subtle way, Belgian designer Sara De Bondt has become a key presence on the British design scene. Working steadily in London for most of the decade since she graduated, she has made her mark as graphic designer, publisher, conference organiser and teacher. New projects – identities, books, magazines, websites, exhibitions – stream out of her tiny studio in East London, where she works with two assistant designers and an intern. In person De Bondt is soft-spoken and humorous, with a smile that plays around her lips as she describes the details of her work. Yet she is clearly ambitious and determined to develop her practice – you can imagine the confidence she inspires in clients as she describes the thinking behind her proposals. The best of De Bondt’s work brings together theory, common sense and contemporary visual language into seductive synthesis. She appears to relish challenges and difficulties as opportunities to learn new things, stretch the practice and collaborate with experts. On one of the occasions I interview her for this article, in Dalston’s Café Oto, she is most keen to speak about her latest project, the identity design for Artissima 2011. This is a contemporary art fair, similar in intent to London’s Frieze Art Fair, which will take place in Turin, Italy, in November. Her winning pitch was that the identity design would be defined by the event’s statistics. De Bondt had also done internships. One was at a printer, where they told her: ‘You’re a graphic designer, we’re going to make you suffer because you’re going to make us suffer later.’ She spent a month doing nothing but shrink-wrapping. At Total Design in Brussels, where there was little work for her to do, she ‘reorganised the bookshelves and made coffee’. The Spanish experience, though difficult, gave her the confidence to take a major step. “I did my dissertation about the social responsibility of graphic design at Sint-Lukas. The Jan van Toorn book Design Beyond Design had just come out, and really influenced me a lot. So I became interested in the Jan van Eyck Academie (where Van Toorn had been director) and what was going on there. De Bondt decided to go to Maastricht in Holland to study at Jan van Eyck and learn more about typography and the theoretical aspects of graphic design. She arrived at an interesting, difficult time for the institution. ‘There were all these great teachers. Dawn Barrett was head of department. In the first year we had Michael Rock, Armand Mevis, Irma Boom, Rick Poynor, Karel Martens, J. Abbott Miller and Skart [Serbia] visiting – that was exciting.’ She also met Ryan Gander, the British artist, who became her boyfriend, and a collaborator, for a while. She found the experience difficult but life-changing. ‘Armand Mevis said “I don’t think you’re a graphic designer … you don’t care what typeface it’s in.” Which at the time was true. And Karel Martens said to me, “Your work is too girly.” I don’t know if that was related to gender or age. That really did influence me. And then, halfway through the course, they all resigned. Gander introduced her to Stuart Bailey, who had just launched Dot Dot Dot with Peter Bil’ak. After De Bondt finished her two-year course at Jan van Eyck, and was wondering what to do next, Bailey put her in contact with Daniel Eatock. 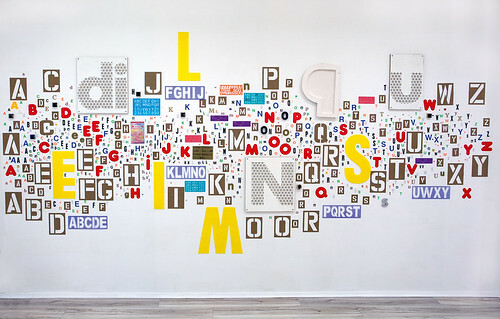 De Bondt says: ‘There were some text-based pieces that Dan and I had both done independently that were really similar: his Beatles poster and my 2000 New Year’s card were both very ideas-based, where the type and look didn’t matter.’ Eatock offered her a job with Foundation 33, which he had founded with Sam Solhaug in 2000. At Foundation 33, De Bondt was plunged into Channel 4’s Big Brother and its billboard campaigns, plus pitches for Piaggio and the practice’s promotion book. What she learnt from her time there was how to make a presentation: to present ideas rather than finished results. With this approach, according to De Bondt, she always gains, even if she doesn’t get the job. But is her design approach similar to Foundation 33’s? She doesn’t think so. ‘The way something looks is much more important for me than it was for Foundation 33,’ she says. ‘I care a lot about typography, and an idea is not just something in your head. The way something looks is an idea. There is a cliché that there’s a separation between the two, but I don’t think that is true or real. One continuing design collaboration is the series of Camden Arts Centre exhibition booklets devised with Goggin in 2005. Each slender publication has the same dimensions but in aggregate they employ strikingly different imagery, typography, layout and feel. Metal staples allow the publications to be collected and read in a binder, resulting in a richly varied loose-leaf ‘book’ of the centre’s activities, using dozens of different paper stocks and techniques. Goggin and De Bondt do not work together on these but rather tend to alternate jobs: De Bondt’s latest is about artist-photographer Anne Hardy. The publishing venture Occasional Papers (occasionalpapers.org) is another highly visible collaboration, founded three years ago with her partner, Antony Hudek. Their list is eccentric and eclectic, academic and experimental, including titles as different in form and content as The Master Builder: Talking with Ken Briggs, The Form of the Book Book and The Portable John Latham, a collection of documents about the late British artist. Their latest publication, Born in Flames, is an illustrated transcript of Lizzie Borden’s 1983 film of that name, edited and designed by Kaisa Lassinaro. 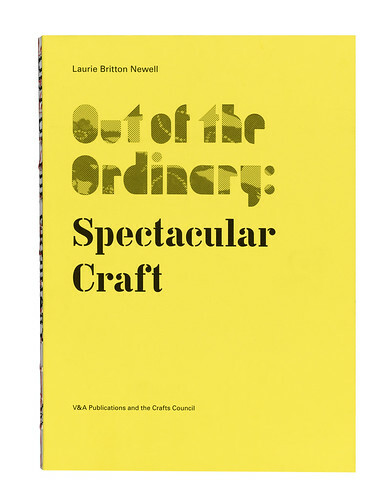 Occasional Papers books are not difficult to spot in a design bookshop, yet the series has no logo. Nor does De Bondt’s studio. ‘Every time I write an invoice I think about what font to use!’ she says. Other editorial design projects have ranged from artists’ catalogues for Book Works and others, to Tate Etc. where she and El-khatib have just succeeded Cornel Windlin as art directors of the thrice-yearly magazine. There is no doubt about her seriousness. She gives several examples of the way history affects her practice, including her innovative identity for INTERIEUR 2010, the Belgian design fair. 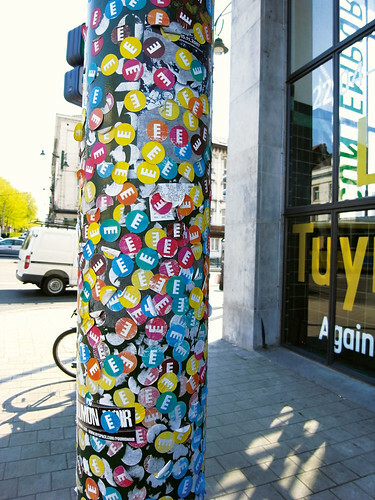 For the 2009 SuperStories fashion and design triennial in Hasselt, the idea behind the identity (made with local designer Geoffrey Brusatto) was that every piece of print was a reference to a way of telling a story. Each letter, postcard, poster or Web element carries their ‘double-S’ logo, white out of a red hexagon. 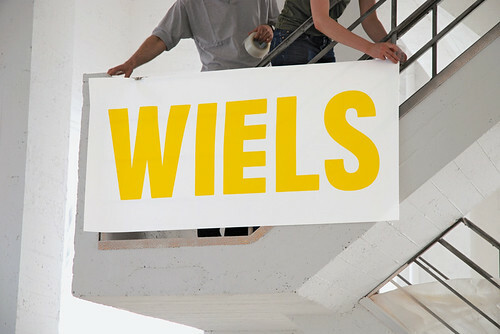 Her biggest project to date is the identity for the Wiels contemporary art centre in Brussels, a venue that opened five years ago in a refurbished 1930s brewery. The name was appropriated from the beer (‘Wiel’s’) once brewed there. The ‘E’ with the extra bar in De Bondt’s logotype comes directly from the building’s bold Art Deco exterior. De Bondt explained the long gestation of her identity design in a 48-page booklet, Wiels: The birth of a visual identity. Her article references many elements, from Nick Bell’s Eye 53 essay ‘The steamroller of branding’ to Marcel Broodthaers’ typography on the plaque for his ‘Musée d’Art Modern, Dt. Des Aigles’. The client’s largely positive response to herfirst proposals included this: ‘We like the logo, but concrete grey is too serious … The logo looks too aggressive. The horizontal lines are too imposing.’ Wiels, explains De Bondt, was concerned that the centre should be ‘accessible to a broad audience and not just the art crowd’. In response to this feedback, she adapted the logotype to make the letters slightly more rounded, and chose yellow as a colour. The jury liked the changes in typography but couldn’t agree on the colours. Dirk Snauwaert, the Weils artistic director, intervened with an ingenious plan: use a different colour every year. Once the logo had been agreed, De Bondt started work with fellow Belgian designer (and Reading graduate) Jo De Baerdemaeker on a typeface for Wiels. Their published correspondence references the aforementioned Broodthaers, Richard Hollis’s use of Block for the Whitechapel Art Gallery (see Eye 59), a 1960s cologne label and Belgian road signs: history gets everywhere. For Nottingham Contemporary’s identity (also designed with De Baerdemaeker) they digitised a typeface from books made during typesetting classes at a printing school in the city. 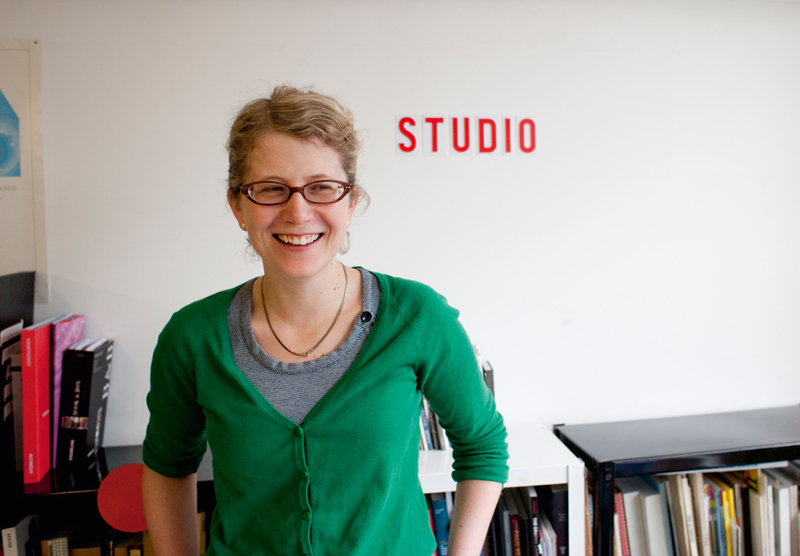 However, her original idea was not to have a typeface but to ask artists to write it – a kind of ‘open-source’ identity. Instead, she applied this thinking to the logo. De Bondt sent an open invitation to several artists – including Pae White, Flávia Müller Medeiros, Loris Gréaud, Klaus Weber, Chris Evans and S. Mark Gubb – to make logos for the gallery, and the identity became an exhibition of sorts. ‘The logos are used almost like a stamp, usually in gold, and they are always credited,’ she says. Her identity for the MK Gallery in Milton Keynes strips away even more design elements. Hit refresh while browsing the gallery’s site and you encounter a random selectionof system typefaces – Times New Roman, Courier and so on. Many of De Bondt’s projects bear such traces of her struggles – both internal and external – with the very nature of graphic identity. She sometimes appears to solve problems by asking new questions. Her solutions make a critical point but at the same time they provide information and graphic delight. And though she works hard to expunge style, the confidence and technique with which she and her collaborators execute the most minor elements mean that her graphic framework for the clients’ content communicates in the most stylish and contemporary manner imaginable. Given her enthusiasm for ‘non-identity identities’, I wondered whether she thinks the world might be a better place with fewer logos and branded elements. Her reply is characteristically thoughtful. ‘I am a big fan of well designed logos such as British Rail or IBM, but I do find the current “must-brand-everything” obsession a little bit too much. I saw a poster for a pop festival the other day, and each band in the festival had its own logo on it, to the detriment of the poster, which looked terrible because of the lack of visual unity. ‘Too many people shouting their identity can be counter-productive. I find the London Underground really difficult to bear, there is nowhere you can look without advertising screaming in your face. 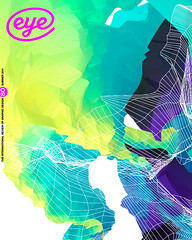 ‘The steamroller of branding’ in Eye 53, the Brand madness special issue.